The 2017 European BMX Championships was held in Bordeaux, France. 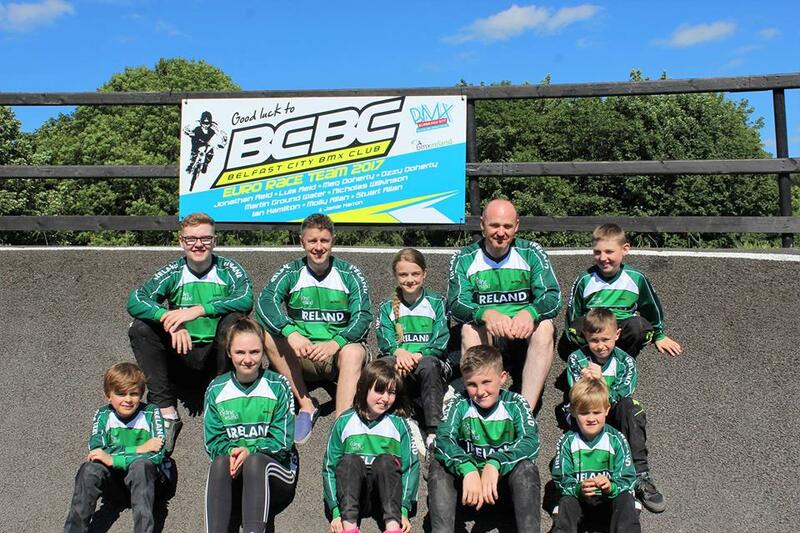 Bcbc had 9 competing riders join the the Ireland team who had qualified to enter from their results during the 2016 Ireland Series. 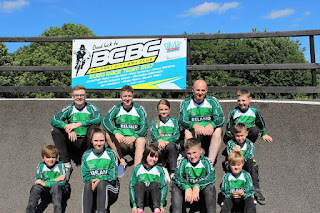 Ian, Johnny, Stuart, Molly, Meg, Nicholas, Martin, Luis and Ozzy from Bcbc made the trip with family and friends to experience the biggest race for them so far, to learn from the best and have a great time riding this fantastic track built exclusively for the event. All the riders enjoyed the experience and have new drive to tackle the rest of the 2017 season. Thursday Visit "Compact and Bijou"..
On Thursday evening a few members of Team Ireland headed uptown to sample a Local Track in Bordeaux..This Track is built within a very small space of Land within surrounding houses, but it has it all - including Very Smooth Brick Berms..
Definitely worth a Visit if you're in Town..!! Pictures. The Event was broadcast live on Youtube some of these are very long (upto 6hr) we have all the links and we will list some time stamps for you to fast forward too. Ps. note that the name on the screen are results approximately a minute behind who your watching.